We created this website to keep our friends and family current on all our wedding events. We will be updating this site with pictures and new information as our wedding gets closer. Thank you for visiting our site, see you at the wedding! Jen and Jeremy met in June of 2001, while they were attending college at Purdue University. Jen, majored in Retail Management and pursued a career as a Manager with Target after graduating from Purdue, while Jeremy finished his degree in Computer Technology. 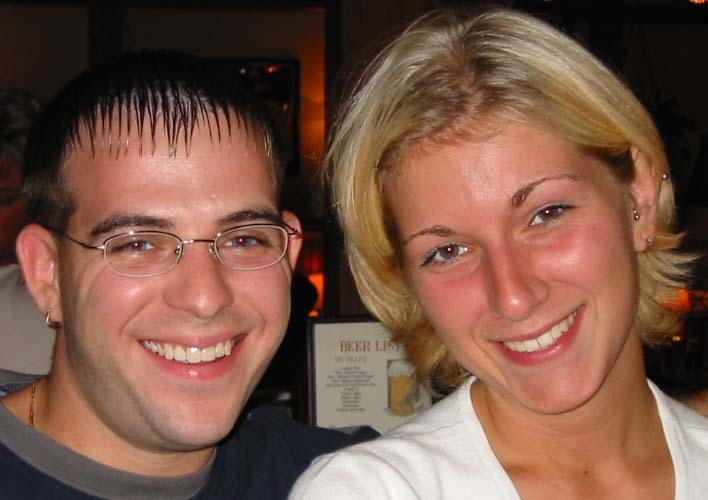 After Jeremy graduated, he pursued a career with IBM and asked Jen to move to Connecticut with him in April of 2003. 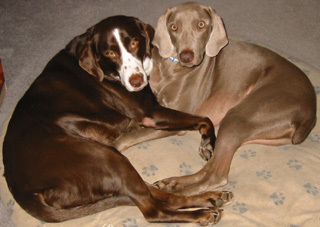 Now in Connecticut, Jen is a Manager for Old Navy and lives with her two gorgeous dogs, Bailey and Zoey. Jeremy is an IT Specialist with IBM and lives next door to his twin brother, Jamey. 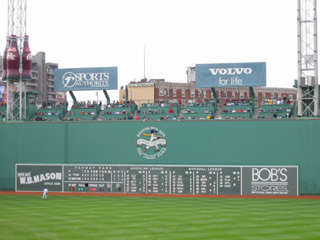 Since Moving to Connecticut, Jen has become an avid follower of the Boston Red Sox, watching them on TV when they play. On one of our few days off from work, Jen decided that we should go see the Red Sox play in person at Fenway Park, in Boston, MA. 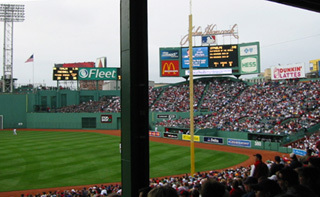 On Sunday, May 23rd, we set out for Boston to see the Red Sox play the Toronto Blue Jays. Before the game, we walked all over Boston trying to find the Rock Bottom Brewery, so we could have some of their world famous Nachos for lunch. After 40 minutes of walking, we finally found the restaurant, which is definitely harder to find than the one in Indianapolis. After lunch, we walked to Fenway Park to see the baseball game. The tickets were purchased on Ebay and turned out to be some wonderful seats, just past first base. Jen was in heaven watching the game, while Jeremy was trying to figure out and keep track of what inning it was. Little did Jen know that Jeremy had a big surprise in store for their trip to see the Red Sox, quite possibly a surprise that they'd never forget. In the middle of the fifth inning, the message, "Jen, will you marry me? Love, Jeremy" appeared on the Scoreboard. Jeremy saw it and turned to Jen to point it out. Jen looked at the scoreboard in disbelief and said "too bad it's not for me," laughing. Jeremy laughed with relief, as he had been waiting for this moment for weeks and said "Too bad it is for you!" Still trying to convince Jen that he was serious, Jeremy reached into his pocket and pulled out her engagement ring and asked "Jen, will you ...." Jen wasn't sure if she was dreaming or not, but said "Yes!" before he could even finish his sentence. In the midst of a sellout crowd of 35,236 people, Jen had the surprise of her life .... she and Jeremy were going to get married! The Red Sox ended up beating the BlueJays, 7 to 2, making for an absolutely perfect day!